Hey beauties! We’re celebrating our 1-year anniversary and feeling a little nostalgic (sniff, sniff) as we look back and think what an incredible journey it’s been! We wish we could say it’s always been sparkle and gloss. Like any young company, we’ve learned a lot, and will always use your feedback to help us grow and improve. So we wanna take a minute to address some negative comments that were thrown our way in the past. Most of our glam fam has had an incredible experience (thank you for all our loving LiveGlam feedback!)! But, we haven’t always been able to make everyone happy. Some folks have referred to us a LiveGlam Scam, or LiveScam. Well, there is no LiveGlam scam going on here! We’re just a group of real people with a desire and passion for makeup, beauty, skincare, and creativity. We’re all normal folks with an exceptional lipstick collection and some intense winged liner. We know everyone may not agree with our vision, but we wanna help make sure you understand it and know that we are always working hard to make it better! So, who is LiveGlam and what do we do? LiveGlam is more than just videos on a webpage. 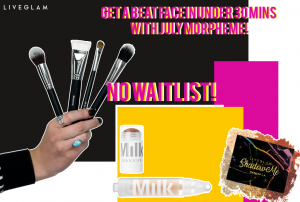 We have an awesome makeup studio in beautiful downtown LA with a (fast growing!) staff of designers, writers, videographers, developers, creators and other generally creative folks coming together to produce beauty-ful content for you. We’re most known for our makeup subscription clubs and creating trendy, viral videos. We have 3 makeup subscriptions: KissMe Lipstick Club (launching April 2017), MorpheMe Brush Club, and PolishMe Polish Club (launching March 2017)! Our young company is still learning where we fit in the world and we’re slaying it one day at a time. Most of our criticism has been on our (now retired) LiveGlam Certification program. 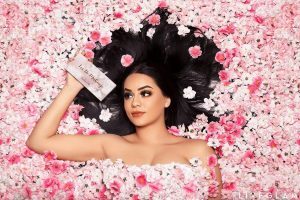 Our students were trained in a series of online makeup classes by a chosen artist, and given an online makeup certification from us upon passing. The online makeup certification could also be used to get pro makeup discounts with industry brands. Our company culture is to constantly get better and learn what works and what doesn’t work. We view all of our criticism and obstacles as an opportunity to grow and improve, so we’re actually thankful for not just our supporters- but our critics too! We use your feedback, positive or negative, to create better products and services. What is the updated LiveGlam makeup education program? Do you still offer online makeup certifications? We care a lot about what our makeup community says and decided to no longer offer our Certification program. We are focusing on some exciting new endeavors! We hope to bring back a free education program in the future. Has there been any positive feedback? We don’t want to just focus on the negative, we also really appreciate all the positive feedback we’ve received! If you want to see even more positive feedback check it out here. We’ve received hundreds of 5 stars on Google, Facebook, SiteJabber, Trust Pilot, Better Business Bureau, and so many others that we’re so thankful for! What will the future of LiveGlam look like? After changing our focus away from the LiveGlam Pro Certification program and towards our new endeavors, we’re more excited than ever about the future! We’ve been able to build an amazing community of glammers (you can become a part of our glam fam on Instagram or Snapchat or Facebook if you’re not already!). Moving forward, we’ll be more focused on products with some exciting new makeup clubs launching! If you are less familiar with this other aspect of our little glam-world, we also have a monthly beauty subscriptions. Our makeup brush club is our first baby! 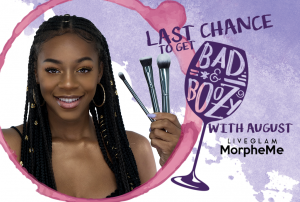 MorpheMe, partnered with Morphe Brushes, is a monthly subscription where members receive a variety of makeup brushes every month, totaling over $30, for $19.99. You can also check out our new gel-like nail polish club, PolishMe, here and keep your (perfectly winged) eyes peeled for KissMe in Spring! KissMe Club will be our very first product that we are offering and we’re so excited! 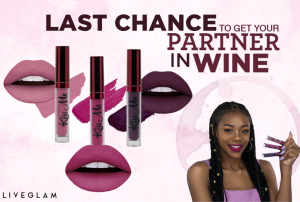 You’ll get 3 liquid lippies for the price of 1 every month in this makeup subscription. Be sure to check it out! Penny: You guys aren't a scam! You rock!!!! Ive gotten two shipments and I am absolutely thrilled with the quality! Katina Lavigne: I just wanted to say that I've heard all of the negativity and I know it's bogus! I am a very satisfied customer who has been a morpheme and Kiss me subscriber for over a year. I have only had a problem twice due to shipping that was fixed immediately. Their customer service is top notch and I highly recommend their services to everyone I know! Keep up the excellent work and don't let these rude, disgruntled people get y'all down. Y'all are doing an excellent job and I for one will always give you a 5 star rating!